Being hospitalized or undergoing a medical procedure can be stressful. Medical bills often add to this stress. At CMC, we try to simplify the billing process as much as possible. If you need more information about the medical exchanges available to you, you can find them here. Choose from the payment methods below to learn more about billing services. Your Responsibility: Before undergoing medical procedures or being hospitalized, familiarize yourself with the terms of your insurance coverage. You will be responsible for co-payments, deductibles and other non-covered services that insurance does not pay. Payment is requested during registration. Please be prepared to provide a copy of your health insurance card prior to services. You may also need to provide insurance forms supplied by your employer or insurance company. Our Commitment: For most insurance plans, we will verify your insurance coverage and bill your insurance company on your behalf. You will be responsible for paying any amount of your bill that your insurance company does not pay. View a list of our 2019 contracted insurance companies. Your Responsibility: Health Maintenance Organizations (HMOs) and Preferred Provider Organizations (PPOs) sometimes have special requirements, such as pre-certification for certain procedures or second opinions before a surgical procedure is approved. You are responsible for ensuring that all the requirements of your health insurance plan are met. If the requirements of your plan are not met, you may be responsible for payment of all or part of the services rendered by the hospital. Our Commitment: If we accept insurance assignment, we will bill your insurance company on your behalf. We will also verify coverage with your insurance company either before or during your hospital stay. We will request additional payments from you for any amounts of your bill that your insurance company does not pay. Your Responsibility: Familiarize yourself with your Medicare benefits before a medical procedure or hospitalization. Medicare may pay all or a portion of your hospital charges but understand that non-covered fees are your responsibility. Be aware that Medicare specifically excludes payment for certain services, such as cosmetic surgery, some oral surgery procedures, personal comfort items, hearing evaluations and others. Prior to services, please provide a copy of your Medicare card. Also, you must complete and sign the appropriate forms, including the Medicare questionnaire, noting your Medicare recipient number. Medicare deductible amounts for inpatients are due at the time of discharge, unless you have a Medicare supplemental policy. Outpatients are expected to pay their co-insurance and deductibles at time of registration. Our Commitment: CMC will verify your Medicare eligibility and process your claim. If you have a Medicare supplemental insurance policy or second insurance, we will bill them for you as well. Your Responsibility: Familiarize yourself with your Medicaid benefits before a medical procedure or hospitalization and understand that non-covered fees are your responsibility and are due at registration or upon discharge from the hospital. Medicaid may pay for all your charges except for personal convenience items, depending on the type of coverage, but be aware that Medicaid has payment limitations on a number of services. Also, Medicaid does not pay for the cost of a private room unless medically necessary. Prior to services, please provide a copy of your Medicaid card. Our Commitment: CMC will verify your Medicaid eligibility and process your claim. We can also help you apply for Medicaid during your hospitalization. Your Responsibility: Patients without medical insurance coverage will be asked to prepay an estimated bill or make other payment arrangements in advance, based on services you are expected to receive, and the estimated length of the hospital stay. Any unpaid balance will be due at the time of discharge. Our Commitment: CMC can usually make financial arrangements for patients who do not have insurance. A Patient Accounts Department representative will assist you in making payment arrangements or applying for Medicaid or other governmental assistance programs.  Conway Medical Center offers a discount to uninsured patients. Depending on how much you qualify for, this can amount to a discount of up to 20% of your total charges. Conway Medical Center is committed to providing quality care to all patients in need. We have limited funds available for patients who are financially unable to pay their bills. For more information on Charity Care please contact Connie Hartsell at CHartsell@cmc-sc.com or 843-347-8072 or click here for our policy and application. If you have questions about this information during your stay, please call the CMC Patient Financial Services at 843-347-8072. Depending on the Services you receive you may receive bills for professional services from the following entities that work at the hospital. Conway Medical Center uses SCPricePoint.org to establish pricing for hospital services and allows our patients to compare prices among various hospitals. Click here to use this easy tool to look up Conway Medical Center’s standard charges for services. As required by federal regulation, Conway Medical Center provides access to our Chargemaster file which lists each service we may provide for your care depending on your condition and what is ordered by your health care providers. You will see a code for each individual item, if applicable, and the associated charge listed in the downloadable Chargemaster file. Your bill will reflect the charges for all hospital Chargemaster items utilized during your hospital stay or outpatient visit at Conway Medical Center. The amount you owe will depend on the contractual agreement your health insurance plan has with our medical center. Please note your Conway Medical Center bill may not include all related charges for physician office fees, clinic charges, radiologists, and other services provided in conjunction with our hospital services and those items will not be reflected in our Chargemaster file. Unfortunately, understanding what you will actually have to pay for healthcare services is complicated, and not as simple as referencing the charges listed in SC Price Point or our Chargemaster file. The amount of money you will be responsible for paying is generally determined by your insurance coverage or managed care company, not by the hospital. Also, all doctors, hospitals or services may not be covered by your plan. Unfortunately, we do not have this information available to us before you receive care from our hospital. The best source of information about what you will have to pay will come from your insurance company as they are already aware of what services are covered and who they will pay to deliver the care and the amount they will hold you responsible for. Conway Medical Center Chargemaster file.